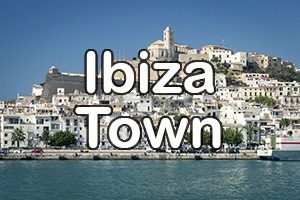 Ibiza Town (Evissa) is the Capital of the island and is largest town in Ibiza. 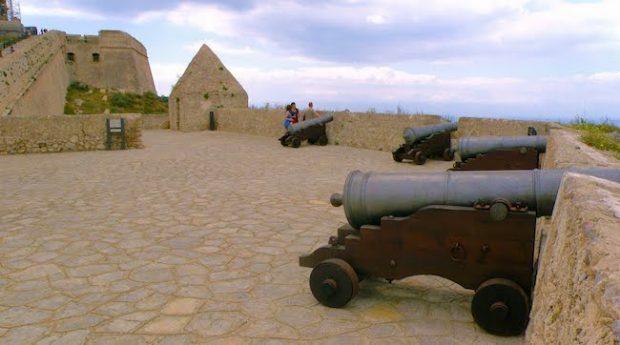 It’s dominated by the fortified citadel Dalt Vila which overlooks the town. Located in the south-west of the island it is a true cosmopolitan location loved by people from around the world. 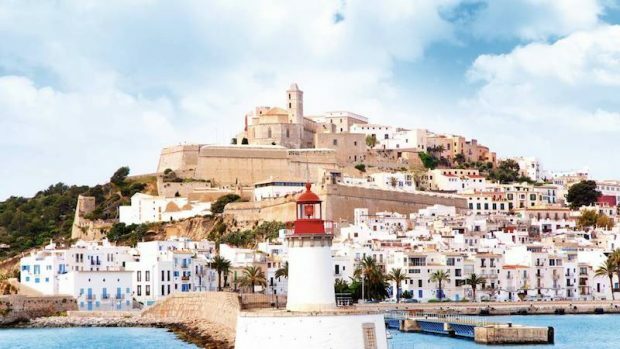 The town itself is split into three distinctive areas, the Old Town which is made up of winding narrow streets incorporating Dalt Vila. Packed with bars, restaurants and boutiques as well as steeped in history (having been built by the Phoenicians some 2500 years ago, then inhabited by the Moors, Carthaginians and Romans at one stage or another} the Old Town is an unexpected cultural break from the excesses of Ibiza. The Modern Town sits on the flat expanse around the old town with plazas like Vara de Rey with its beautiful town houses dating back to the beginning of the last century and the neighbouring Plaza del Parque, great for people watching with its collection of bars on one side and quality restaurants on the other. This is also where the majority of the shopping areas are located with big name brands as well as small designer boutiques nestled alongside restaurants and bars. You will certainly never be short of shopping or eateries in Ibiza Town. The last area of the town is the Marina which sits opposite the Old Town and is the latests hip and trendy place to be and be seen. You will find a fantastic range of restaurants with stunning views across the harbour towards the old town, bars and boutiques. Ibiza Town is the busy bustling hub of the island all year round and offers a little something for everyone. There are no actual beaches situated in Ibiza Town but after a short 15-minute walk you will find Figueretas. Or alternatively you can catch a short ferry ride to the the lovely bay of Talamanca with its long stretch of sand. Playa d’en Bossa is also only a short bus or taxi ride away and then you will be on the longest beach on the island which is dotted with lively beach bars and clubs. It is also home to Ushuaia, Sankeys and the replacement for Space – Hi Ibiza. Ibiza as an island is full of rich history and in Ibiza Town you can find the Archaeological Museum to send you back in time with many historical treasures from the various necropolis sites across the island. The Baluard de Sant Jaume at Ronda Calvi in the western part of the city wall of Dalt Vila, also known as the “Bulwark of Jakobus”, contains original Sixteenth and Eighteenth Century military technology with replica weapons and armoury; you can even try on the armour to see how heavy it is. You will be amazed at the number of public museums and privately run art galleries there are on Ibiza. Although when you look back on its past as a haven for dissidents and artists in the Twentieth Century, it makes a lot of sense. The brilliantly curated Contemporary Art Museum features local and international talent and the historic Puget Museum displays photographs and paintings from Ibiza’s past. The art gallery Lune Rouge created by Cirque du Soleil founder Guy Laliberté brings works from some of the leading modern artists in the world. 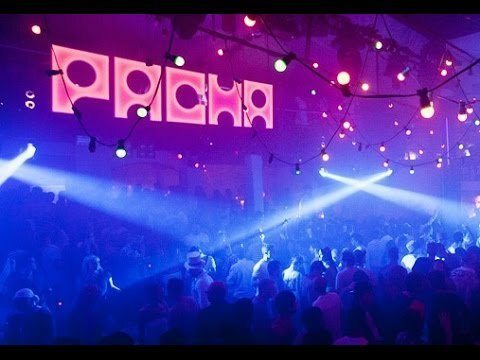 With its world famous night clubs like Pacha, Heart and celebrity favourite, Lío, on its doorstep, Ibiza Town is not short of nightlife. Take a wander along the port area of the Old Town where you will find a host of bars and truly unique venues and hotspots or venture into the narrow streets to the gay-orientated Calle de la Virgen. The inappropriately-named street of the virgin is a must see whatever your inclination. Hippie chic boutiques, fetish shops, cool restaurants and music bars line the street. You can stay in the heart of Ibiza Town in various hotels from the stylish Hotel da Pacha or the oldest and newly refurbished Gran Hotel Montesol to a wide range of apartments and hotels for all budgets. If you want the best of both worlds opt for Figueretas or Talamanca which are close to the beach but within walking distance of the main town.